Agent — Blog - How much does $10 cost? How much does $10 cost? The fuzzy math economics of everyday junk mail. Junk mail – it’s an American institution. According to junk mail opponent 41pounds.org, each of us receives 41 pounds of junk mail every year, 44% of which goes unopened. On average, they say, we receive 16 pieces of junk mail a week, compared to only 1.5 personal letters. If that’s true, how effective can junk mail be? As an ad guy, we hear statistics like this regularly, and we don’t dig much further because it aligns with our own personal experience. We throw away literal tons more than we keep. It’s rare when I keep a piece of junk mail. And when I do, I take notice. Small print: *When you bring this card to your club and renew before 10/11/2015. I was duped. 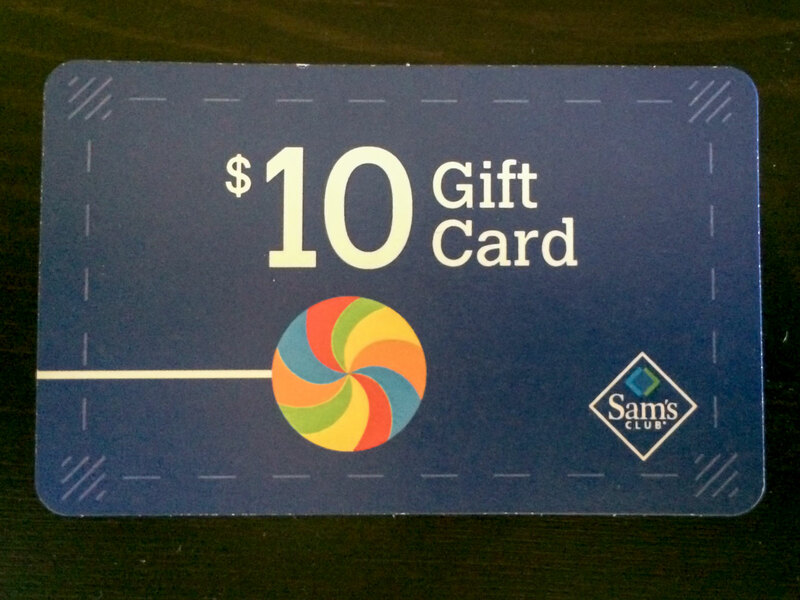 Even though the packaging clearly states, “Gift card,” it’s not a gift card; it is a coupon for $10 off my membership renewal. 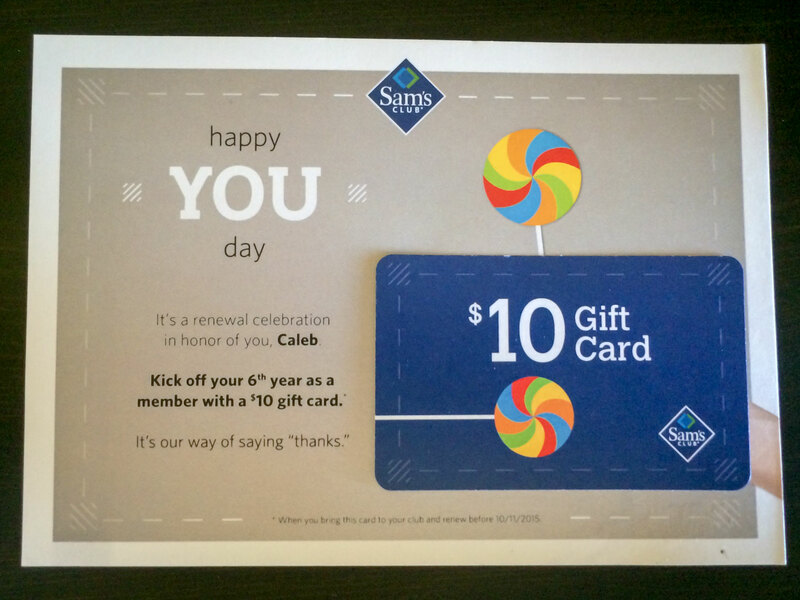 Since a Sam’s Club membership costs $45 ($10 cheaper than Costco), this coupon would bring the total renewal cost down to $35. Is it a little dishonest? Maybe. Is it effective? Well, it worked on me. Was it worth the cost Sam’s spent to reach me? Let’s find out. In advertising, junk mail is known as “direct mail,” or “DM” for short. There’s a massive industry around direct mail. Some sources say it’s as little as 3% effective while the Harvard Business Review in 2012 showed a 24% response rate in direct-mail-only campaigns. Companies like Agent prove their value by increasing the response rate so clients can enjoy a higher return on investment (ROI). In short, better-targeted direct mail means higher ROI. 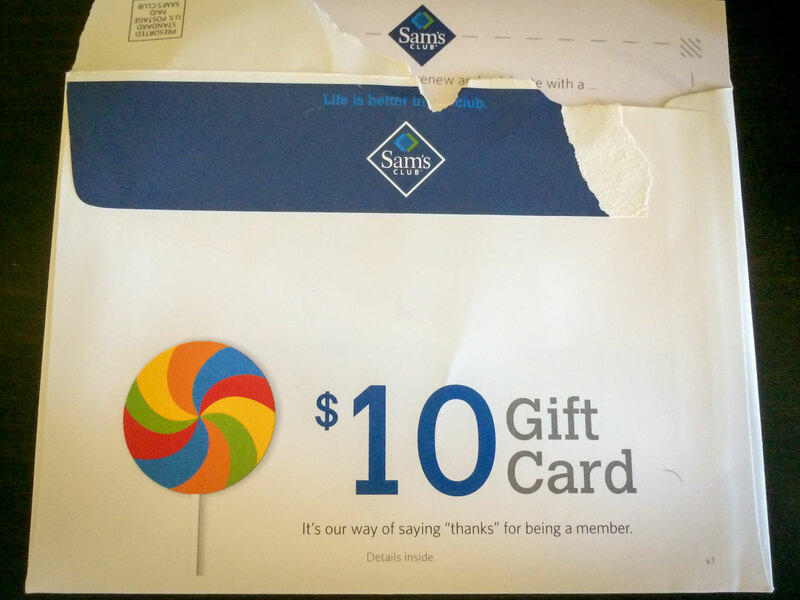 That’s why Sam’s Club sent me a fake $10 gift card rather than a $10 off coupon – on the hope that I value a gift card more than a coupon...and they were right. You win this round, Samuel, but I’m not done yet. To find out how much something like this costs, I turned to local printer, longtime colleague and trusted expert Alex. I told Alex we were interested in how much something like this costs. We’d need three pieces: a postcard with a faux gift card glued to it and an envelope with our logo on it. Then, we’d need variable data, which we’d supply, printed on the card. Variable data means each card would have a different person’s name and address on it. And we’d need all three pieces assembled and mailed. For our estimate, we needed a quantity. I went with 3,000. It’s probably a low number for my local Sam’s Club, but it’s a manageable enough budget for other local clients. Alex’s rough estimate was $2,858.90 for 3,000 pieces, printed and assembled. (Note: If Agent were doing this project for an existing client, we’d get competitive bids, but Alex is usually pretty spot on.) That means, after printing and packaging, my little piece of direct mail cost about 95¢. Don’t forget postage. A stamp costs 49¢, which is more than HALF my printing costs. Good thing the Postal Service offers discounts for bulk pricing, which for this piece would be roughly a quarter (25¢). With the stamp, our total is: $1.20. Since Sam’s Club is obviously printing these on a much larger scale than we are, I’m going to assume their costs are much less. I could speculate that discount around 30%, but it doesn’t consider all the research, time, manpower, and other resources that went into the creating the message itself. Big companies like Sam’s Club spend millions, if not billions, per year on items just like this. It’s near impossible for me to speculate how much time they put into this one, little piece. So, I’m sticking with $1.20 as a reference and not the actual, real number that Sam’s Club paid to reach me. 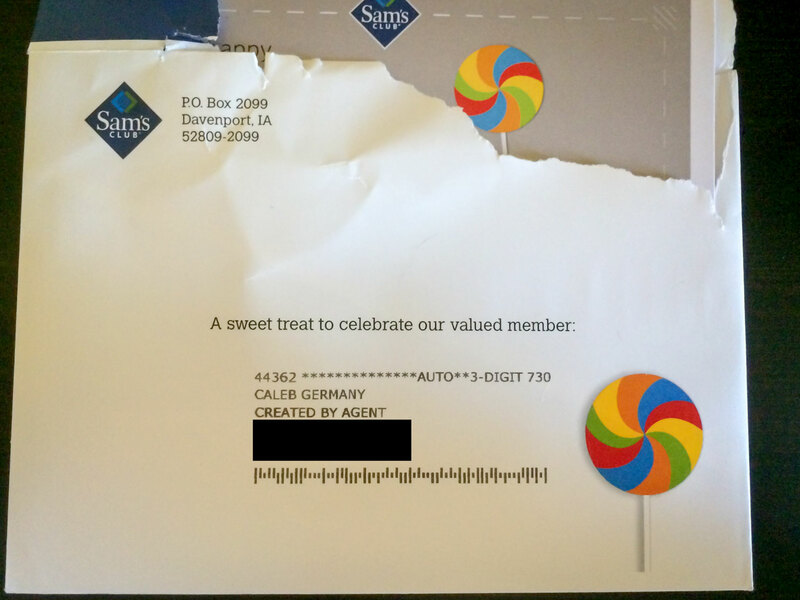 Now that we have an idea of how much it cost to get the message from Sam to me, let’s assume that before I received the fake $10 gift card, I was planning on renewing my Sam’s Club membership at the full price of $45. Now, Sam’s Club is out the original $10 + $1.20, but I’m still going to pay them $35 in their store. Sam’s Club has consumer behavior down to an art. There are teams across the country dedicated to ensuring I don’t leave without buying a new 4k HDTV. Suddenly, that $11.20 isn’t looking so bad. Since the actual response rate of campaigns like this are closely held secrets, I’m going to give Sam’s Club marketing team the benefit here and assume a 10% response rate, which is roughly halfway between the low of 3% and Harvard’s high of 24%. For every one person like me who used the card, nine went in the trash. If you include the trashed mail ($1.20 x 10 = $12), it cost roughly $12 to reach me. Now add the $10 incentive I was already going to spend for a grand total of $22. Final fuzzy tally: Sam’s Club spent $22 on me to ensure I pay $35 renewal in person. Was it worth it? Even if I go straight to the counter, pay my $35 to renew, and walk out without making another purchase, Sam’s wins. It’s very likely I buy something (probably something boring like printer paper, not a 4k HDTV). And it’s one of the reasons you’ll keep seeing direct mail in your mailbox – on average of 41 pounds per year. You don’t have to be as big as Sam’s to benefit from direct mail. In fact, I think just being smaller gives you an advantage. Smaller companies can focus their resources on targeting specific areas, whereas companies like Sam’s rely on bulk mailings to millions of homes, creating excess waste. Agent’s unique approach to direct mail allows us to target specific readers in ways the big guys don’t. Your company should benefit from this. If you want to know how, click the link below, and let’s start something. 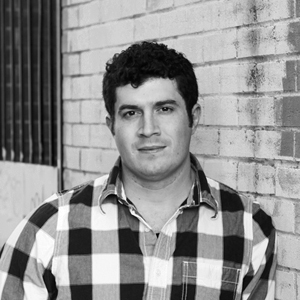 Caleb Germany is a co-founder and writer at Agent. If you live in central Oklahoma, there’s a good chance you’ve received a letter he wrote.